Sesame seeds are rich in both MonoUnsaturated Fatty Acids (MUFAs) and PolyUnsaturated Fatty Acids (PUFAs). Studies say that almost 82% of these seeds are attributed to unsaturated fatty acids among which 38% are MUFAs and 44% are PUFAs. Hence, consumption of these seeds can help us maintain a healthy ‘lipid profile’ by boosting the level of High-Density Lipoprotein (HDL) or ‘good cholesterol’ as well as decreasing the level of Low-Density Lipoprotein (LDL) or ‘bad cholesterol’ in our bloodstream. Being rich in magnesium, sesame seeds can take care of our cardiovascular system to a great extent. They facilitate various neuromuscular functions of our heart, which eventually normalizes the heartbeat pattern, smoothes out the contraction and expansion of blood vessels, keeps blood pressure under control and wards off the chances of developing fatal cardiac disorders. 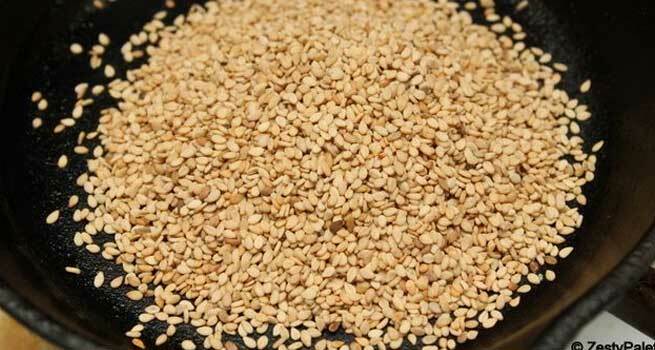 The magnesium content of sesame seeds is also capable of reducing the risks of Type 2 Diabetes. Basically, the mineral plays a key role in controlling the secretion of the insulin hormone as well as adjusting its functionalities to the physical needs. As a result, it becomes easier for our internal system to maintain a steady blood glucose level and we can stay away from diabetes successfully. Sesame seeds are full of iron, which helps in constituting blood hemoglobin thereby facilitating our respiration. Iron is the most vital component of hemoglobin that carries oxygen throughout our body and makes our inhalation as well as exhalation easier. Therefore, including sesame seeds in our regular diet will help us breathe smoothly. Studies have proved that the calcium present in a handful in sesame seeds is much higher than that present in a glass of fresh milk. The mineral is known to be one of the most crucial elements of our teeth and bones. Hence, consuming sesame seeds can strengthen our bones and teeth greatly. 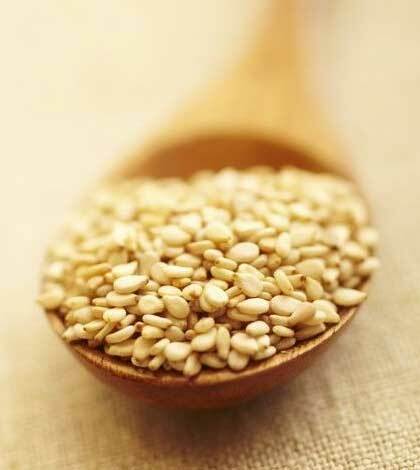 Being loaded with insoluble dietary fibers, sesame seeds can prevent constipation effectively. They stimulate the muscles of our digestive organs and keep the bowels moving inside. As we all know, B-Complex vitamins are essential for maintaining our overall health and sesame seeds are excellent sources of these nutrients. They contain a number of B-Complex vitamins, such as B1 (thiamin), B2 (riboflavin), B3 (niacin), B6 (pyridoxine), B9 (folic acid / folate), and so on. From preventing minor skin infections to regulating a variety of brain functions – these vitamins can help us in a number of ways. So, eating sesame seeds is good for our complete health and well-being. However, the calorie content of these seeds is quite high, which makes them a not-so-good choice for overweight people.